Calrec has appointed Farmingdale, NY-based Group One Limited as its distribution partner for the United States. The announcement was made by James Gordon, CEO of Audiotonix, parent company for the Allen & Heath, Calrec, and DiGiCo brands. This move is designed to enable Calrec to expand its market breadth across the U.S. and continue to maintain high levels of service as business increases with the expanded portfolio, including the newly launched Brio36 compact broadcast console and remote production RP products. This new appointment will not affect Calrec’s relationship with Studio Consultants Incorporated (SCI), which has worked with Calrec for many years and will continue its dedicated Calrec sales and support efforts in the East Coast regions, in conjunction with Calrec and Group One. In recent years, Calrec has delivered high levels of customer care and service in the U.S. through the operations of Calrec America. 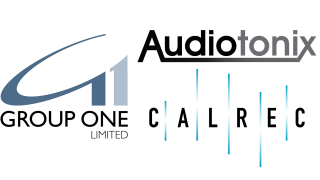 With the new arrangements, Audiotonix is pleased to announce that the entire Calrec America team has been incorporated into Group One to provide for uninterrupted continuity of sales, service and support to the broadcast console brand’s customers.